Today, getting your groceries delivered to your house is old news. But there once was a time when the most futuristic thing in food shopping was the car. Specifically, drive-in shopping like these stores from the 1920s. The car was invented in the 1890s, but it wasn’t until the 1920s that average Americans started to buy them in droves. The rise of the car created plenty of problems, of course, like a huge spike in deaths from auto accidents and incredible traffic jams – according to the L.A. Times, it took 30 minutes to move just six blocks in downtown Los Angeles during the summer of 1923. But there were also some interesting innovations that came out of this period, like the drive-through retail shop. 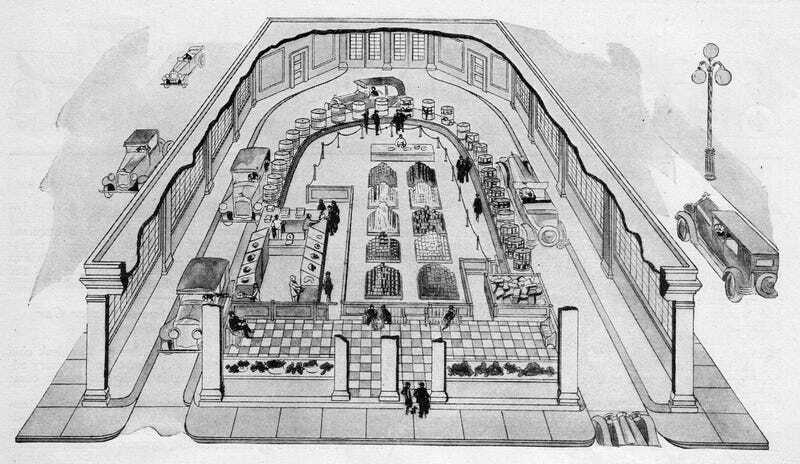 The December 1928 issue of the technology magazine Science and Invention included this illustration of the futuristic shopping experience. And it’s kind of cool to see from an era when the car was actually seen as a progressive mode of transportation. Strangely, the magazine doesn’t explain where this new store design was attempted. And it could’ve been anywhere in the U.S., really. But as I’ve learned from the fantastic book The Drive-In, The Supermarket, and the Transformation of Commercial Space in Los Angeles, 1914-1941 by Richard Longstreth, a lot of the innovations in car-centric spaces were happening in Los Angeles during this time – if for no other reason than the weather is pleasant year-round. The motorist who wants to dive into the market turns into the entrance at the right and then slows down to almost a crawl. He reaches out of the window of the sedan or out from the side of his touring car, or any other machine that he may have, and picks out those articles of foodstuffs which he requires. Most of them are, of course, wrapped up in convenient packages. 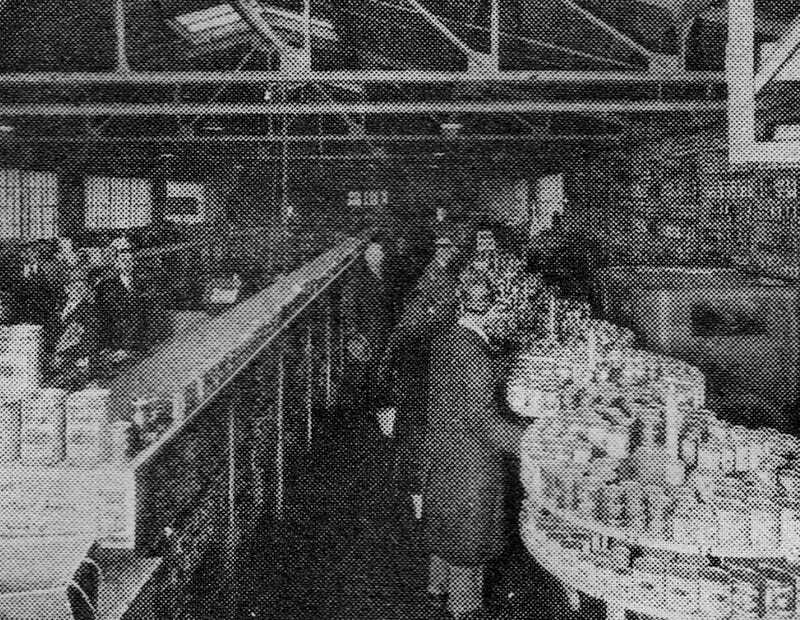 The foodstuff is deposited in a tray moved along at the purchaser’s will, on a roller conveyor. The motorist does not need to worry about the ventilation, because this has been taken care of by the designers of the market. Giant exhaust fans provide a constant stream of air (heated in the winter time) to diffuse any possible carbon monoxide gas accumulation. Consequently, the motorist can take as long as he desires in the selection of his material. We’ll take your word on that one, I guess. But this concept was not long for this world. One reason? It created a lot of bottlenecks. If the car ahead of you was taking up a lot of time, it caused everyone else to just wait. At some drive-in markets, customers could even remain in the driver’s seat and give their order to a clerk, although this practice does not appear to have been widespread owing to the bottlenecks it could generate. Furthermore, conventional wisdom held that most customers preferred to leave their cars while shopping. 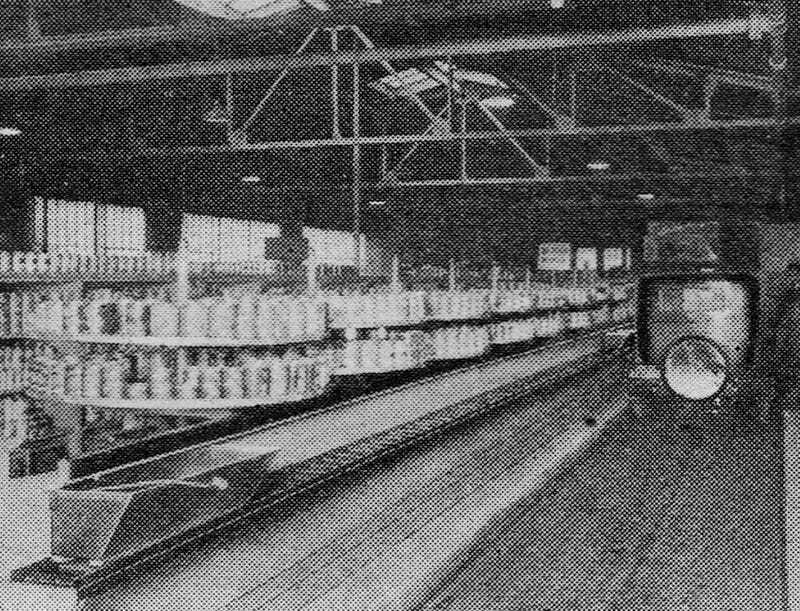 To facilitate the process, some markets had an employee aid in vehicular circulation and watch parked cars. The article in the 1928 issue of Science and Invention insisted that it had a way around this obstacle. People can just get around the shop was walking, which seemed to defeat the entire purpose. Meanwhile, any pedestrians can wait upon themselves from the counters, and the revolving tables are conveniently arranged. As both pedestrian and motorist leaves the auto market, his purchases are checked up by the cashier at the point of exit and he pays for his purchases there. Just in front of this place there is the meat market, so that while a cashier is checking up the products, the butcher takes care of the meat order. But it wasn’t just the 1920s when drive-through food shopping tried to get off the ground. The 1950s was also a boon time for auto-centric retail ideas. And different versions of the drive-through market were predicted by companies and illustrators. Amazingly, drive-through shopping is still considered to be futuristic in some parts of the world. But it’s largely stuck in the computer animation phase, as you can see from this concept video. The big hurdle today? It’s the same as it was in the 1920s. Cars just aren’t very efficient for getting a lot of people through a line. It makes much more sense to have people get out of their cars and navigate a space without being surrounded by a couple tons of metal and plastic. But you can bet that we’ll keep seeing these kinds of concepts as long as automobiles are still popular. And while millennials are apparently trying to kill the car, it hasn’t happened yet. Just remember that whether you love it or hate it, the concept of drive-through grocery shopping isn’t new. Almost nothing is new, in fact. Even those flying cars we keep hearing about.